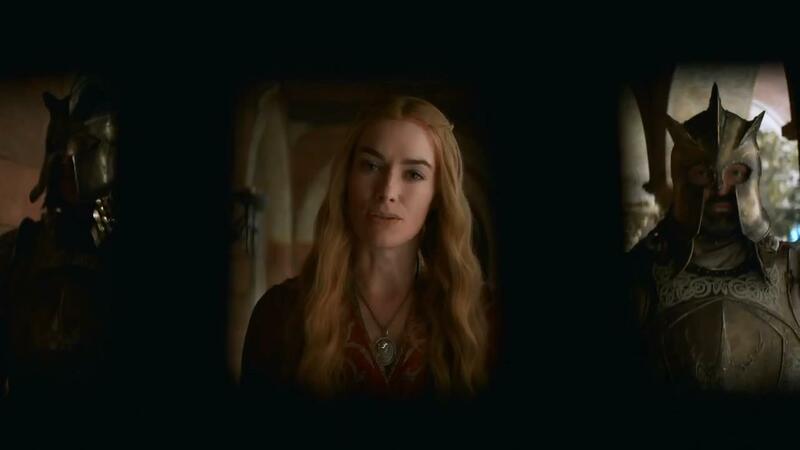 Queen Cersei as seen through the grate of a door—now we know what Tyrion was looking at. Flanking her are two knights of the Kingsguard, one rather anonymous, the other clearly Ser Meryn Trant. It seems safe to guess these are the same two Kingsguard that Bronn was dealing with in the earlier image.